Spain's CaixaBank has decided on Nokia as its main smartphone supplier. 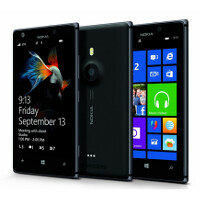 The bank will purchase a whopping 30,000 Nokia Lumia 925 handsets to give to employees. Nokia and Microsoft will give CaixaBank creative and technical support. The Lumia 925 was decided on after various testing was carried out, and the bank will have the option to upgrade to a new model in the future.